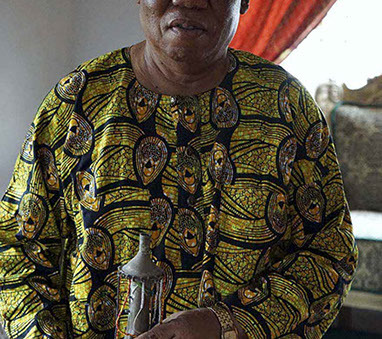 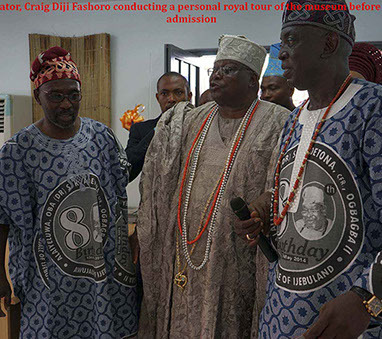 In May 2014, the longest reigning Yoruba monarch, Alaiyeluwa, Oba (Dr.) S.K. 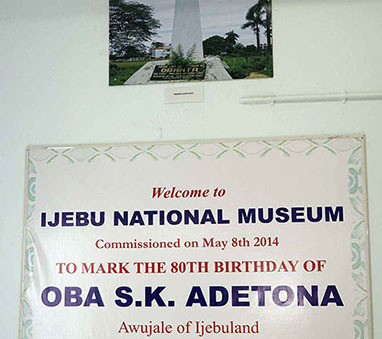 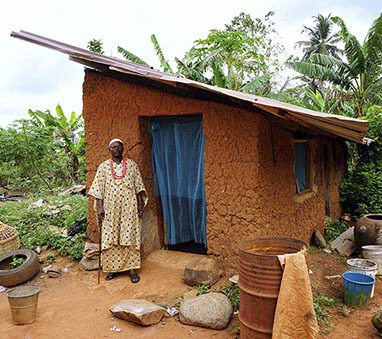 Adetona, the Awujale of Ijebuland, turned 80 years old. 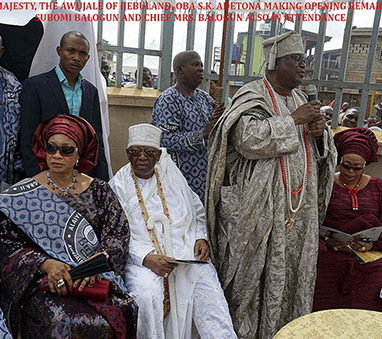 To celebrate the auspicious occasion, the Council of High Chiefs (Otunbas), on behalf of other Ijebu kings and citizens of Ijebuland decided to build a modern museum as a tribute to their beloved monarch. 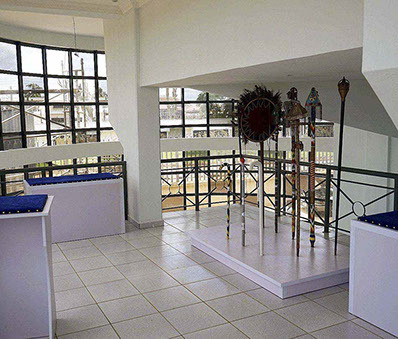 The distinct honor of founding the historical museum was invariably entrusted to Craig Fashoro, based on his accomplishments in the field of traditional African art and his proposed vision of what the desired museum should be like. 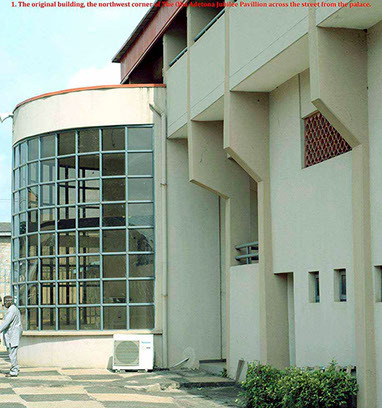 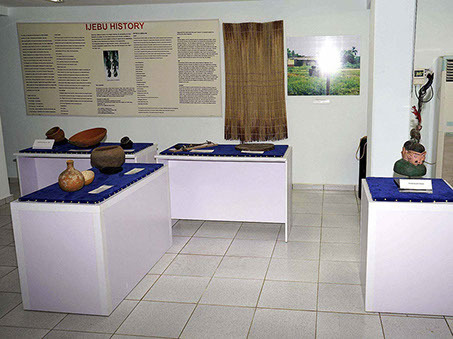 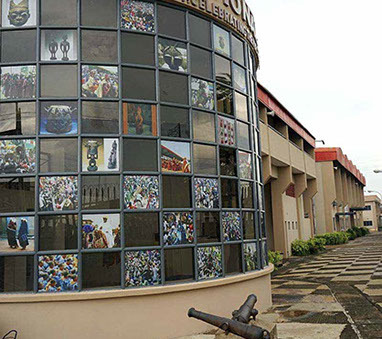 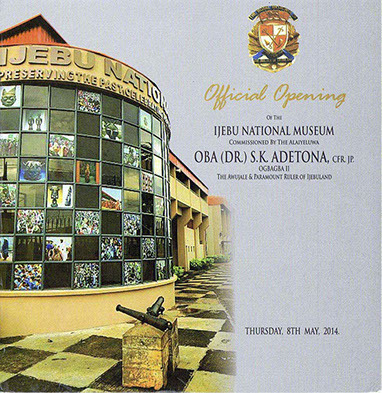 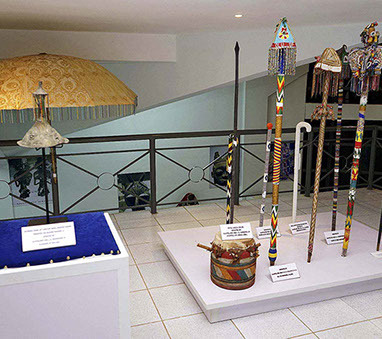 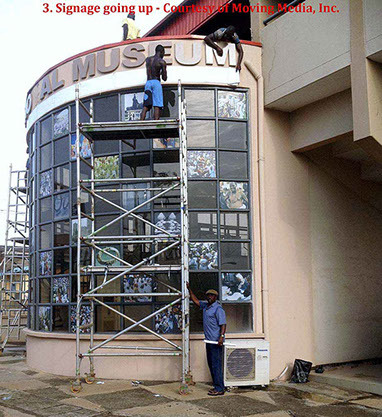 The Ijebu National Museum, officially opened with international pomp and fanfare, on time and within budget, on the 8th of May, 2014. 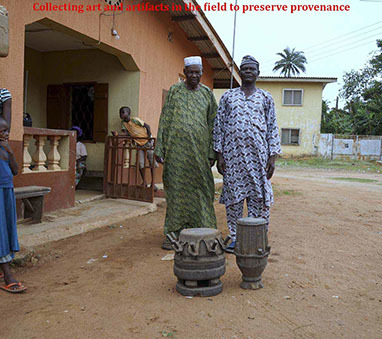 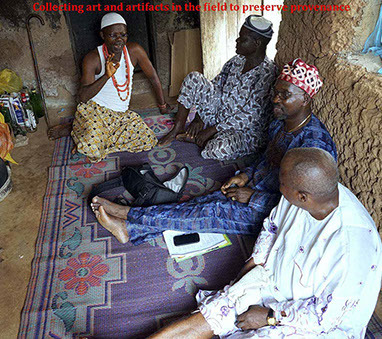 Collecting art and artifacts in the field to preserve provenance. 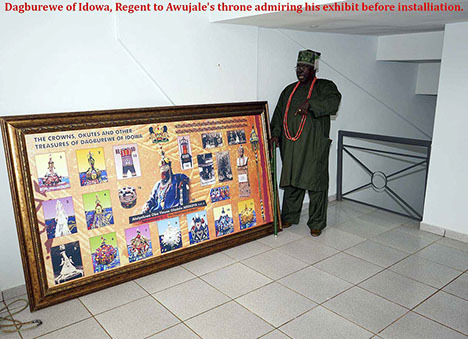 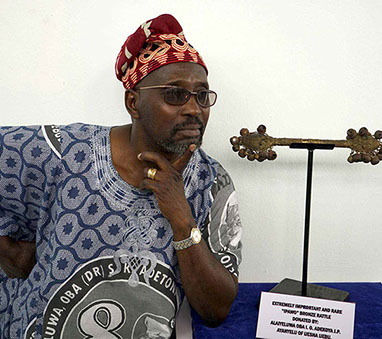 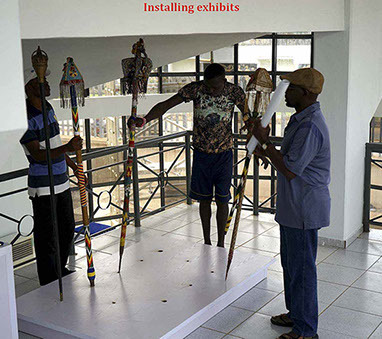 Dagburewe of Idowa, Regent to Awujale's throne admiring his exhibit before installation. 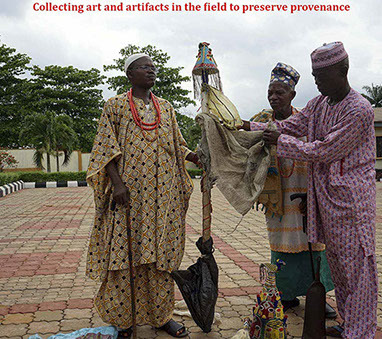 The Hunters' Guild delivering a shrine piece to the museum. 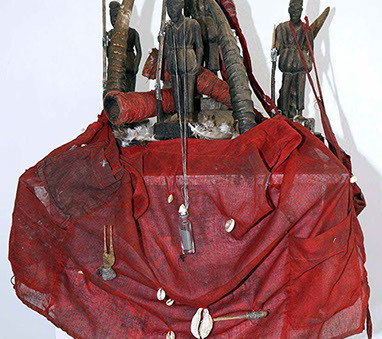 The Hunters' Guild Shrine Piece. 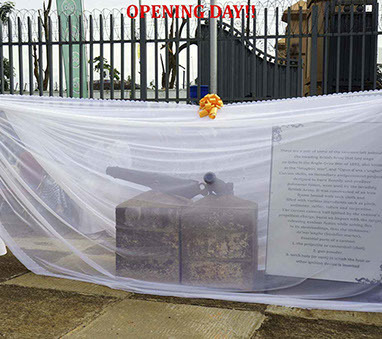 By far the most popular exhibits of the Opening Day. 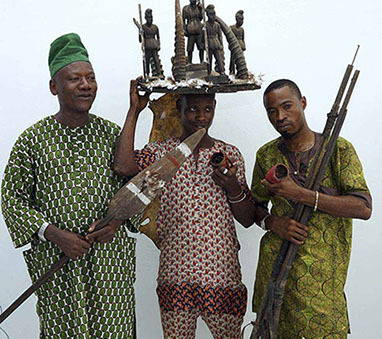 Left to right, OGUNLKAIYE, ESUALADO & ESU ORITA with attening priests. 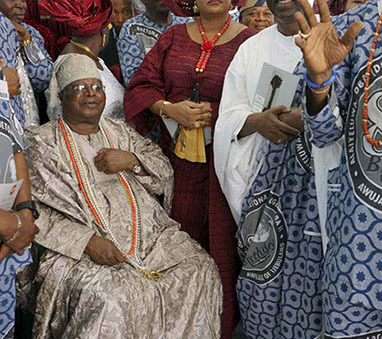 His Royal MAjesty Alaiyeluwa, The Awujale of Ijebuland, Oba S.K. 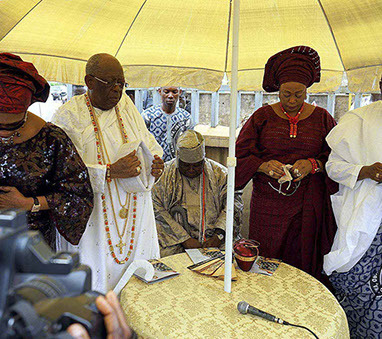 Adetona, Olori Adetona and the former governor of Ogun State, Otunba Gbenga Daniel. 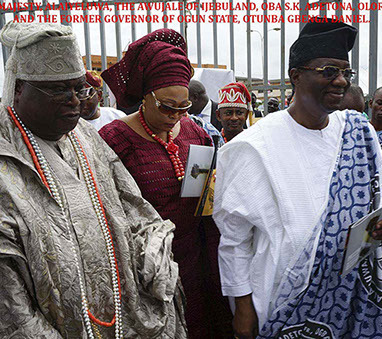 His Royal Majesty, The Awujale of Ijebuland, Oba S.K. 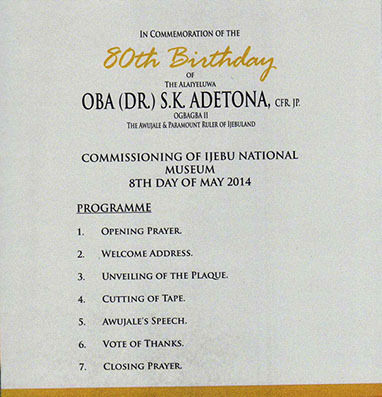 Adetona Making opening remarks. 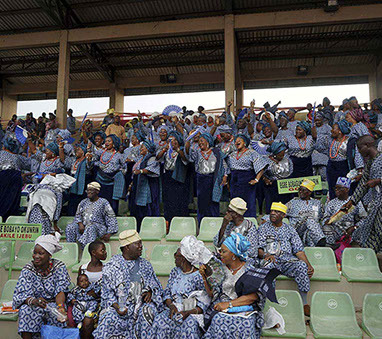 Otunba Subomi Balagun and Chief Mrs. Balogun also in attendance. 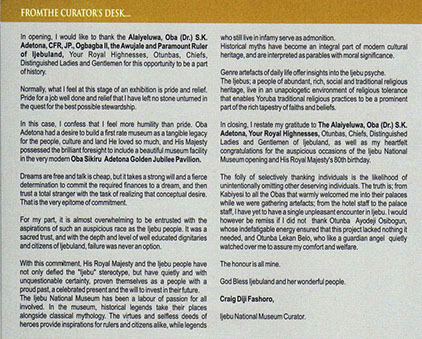 The curator, Craig Diji Faashoro conducting a personal royal tour of the museum before general admission. 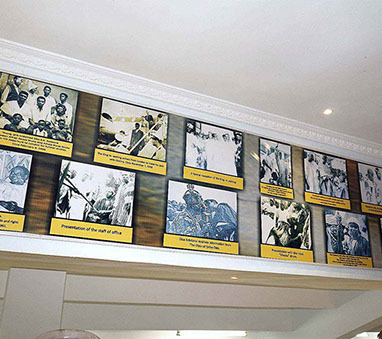 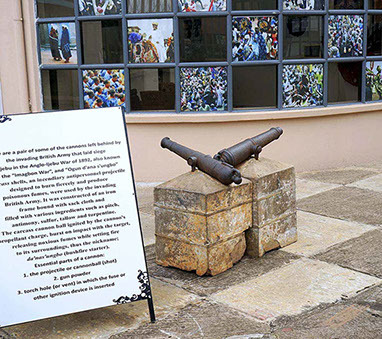 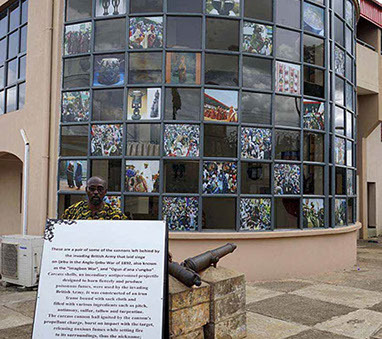 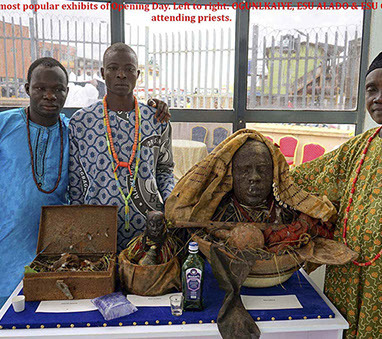 His Majesty proudly taking in the Ijebu National Museum. 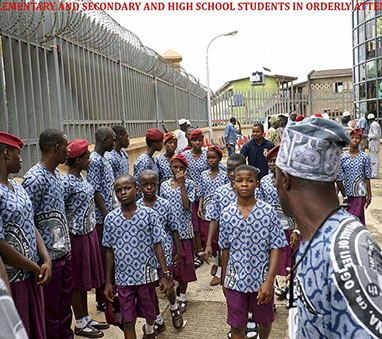 Ijebu Elementary, Secondary and High School students in orderly attendance. 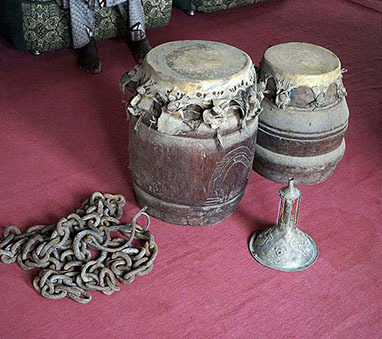 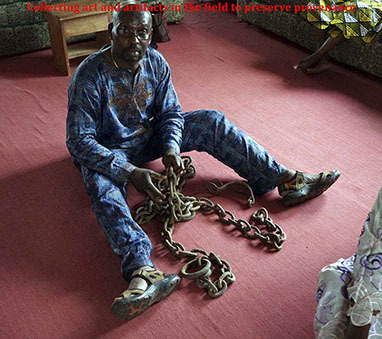 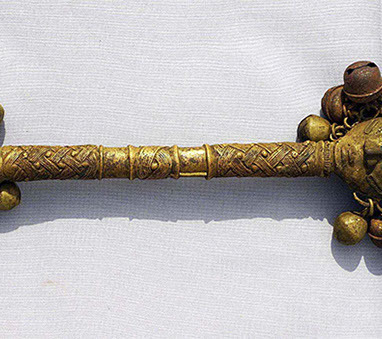 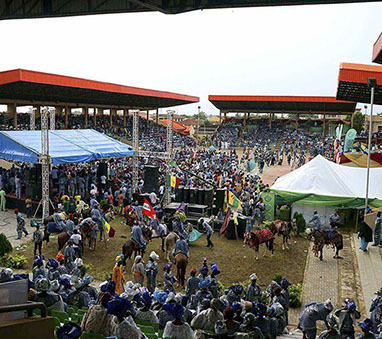 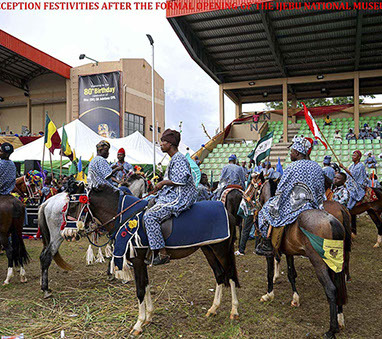 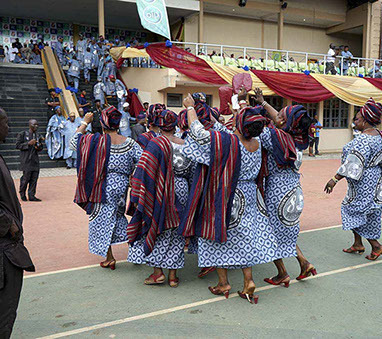 Receptoin festivities after the formal opening of the Ijebu National Museum.